Got a Goal? We've got you covered! 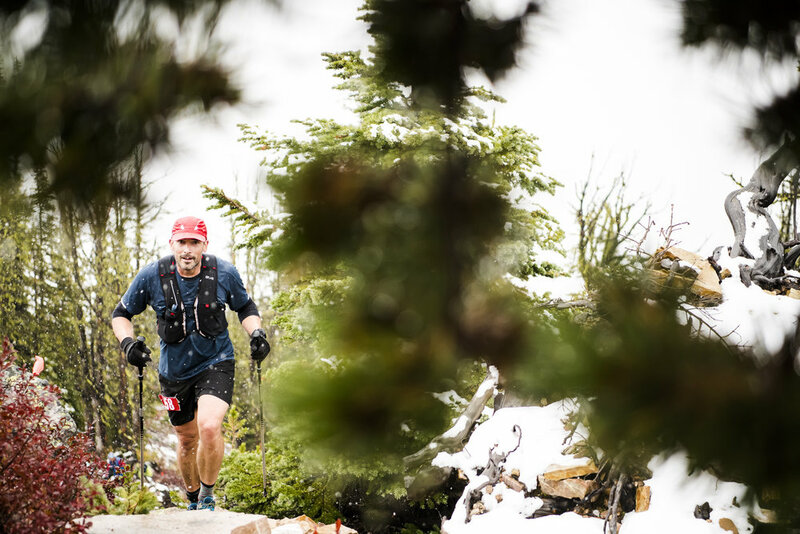 Achieve your goals at the Golden Ultra. Whether you're aiming for your first 10 km, vertical challenge, half marathon or ultra-marathon, we've got all the options on beautiful trails right from the town of Golden. Hosted over 3 days, the Golden Ultra incorporates two stage races and their component days into one big mountain trail running festival. Runners can choose between either stage race and any of the individual single-day distances. The full Golden Ultra is 85 km of mountain bliss, spread over three days: Blood, Sweat and Tears. The first day is an unrelenting vertical challenge. A big beautiful loop featuring 15km of stunning ridges. 58.2 km, 2950m ascent. Flowy, flat, fun: maybe not the best F words, but it's a victory lap. 23 km, 1000 m.
The Half Pint was created due to popular demand and thrives because it's a perfect three days of some of the best trails Golden has to offer served up as: Climb, Conquer and Cruise. Hike and run up some incredibly steep trails but finish on a mountain top! The next step up from a half marathon, this 30 km loop covers the best of Golden. Who doesn't love a 10 km across double-track, along rivers and through forests. New in 2019, the Golden Ultra will live up to it’s name in a mega way. The 120 km course is proposed to link the two 60 km courses forming a pendulum loop across the Columbia River valley in Golden BC. Details will be posted as soon as the course is officially approved (February 2019). The 120 km event will not be part of a stage race, but you’re welcome to add it to your mix and match if you’re truly crazy (pretty sure a few of you are…). Our 2019 races can take you even further! See below for all of our UTMB qualifying races and points. New to Golden? Download the interactive trail map app from the Golden Cycling Club. The Golden Cycling Club is a critical resource to the trail culture of Golden. Please take the time to high-five any volunteers you see out there working on the trails. Or if you're more financially motivated, make a donation to their trail maintenance and development fund by purchasing a club membership.